The renovation of one of the UK’s most prestigious educational institutions, University College London. 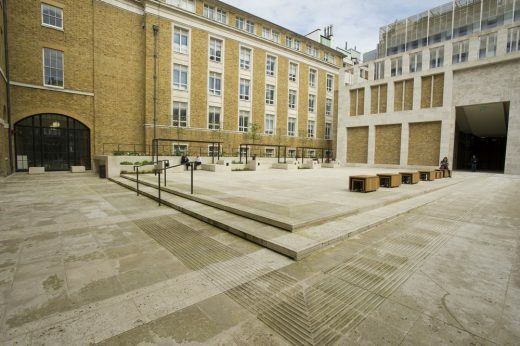 As part of UCL’s £1.2 billion refurbishment programme, a new terrace was built next to the 19th Century Grade 1 listed Wilkins Building. It provides a vital passage through the university’s Bloomsbury Campus while also serving as an outdoor events space. 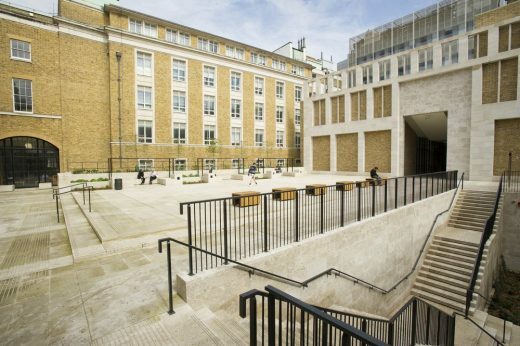 In keeping with the architectural heritage of the Wilkins Building, the terrace included a Portland stone floor, with a new external staircase leading to the refectory at lower ground floor level. The main contractor was Balfour Beatty. The project required a lightweight podium screed suitable to carry natural stone paviours that could also provide a superior drainage system, LytaScreed – one of the fastest drying and most versatile floor screed ranges available – by Aggregate Industries. The UCL revamp achieved a ‘very good’ status BREEAM rating. UCL, one of the world’s leading universities, has set out an ambitious programme of investment in its central London estate signalling plans for continued growth over the next 10 years. The UCL Bloomsbury Masterplan, which is published today, sets out a vision for the long term improvement and development of the UCL core estate in Bloomsbury London WC1, to support the University’s academic mission through the imaginative and effective use of its buildings and public spaces. The Masterplan also identifies the constraints on expansion in Bloomsbury and proposes that a new campus could be created elsewhere in London to provide world class education and research facilities supported by student accommodation, enterprise incubators and other amenities. The Masterplan is the result of an intensive planning and consultation process led by UCL’s Estates division and leading architecture practice Lifschutz Davidson Sandilands. “The Bloomsbury Masterplan sets out a strategic framework for the development and improvement of our estate over the next 10-15 years to ensure UCL’s fine buildings in the heart of this great world city best support the University’s highest academic standards. ‘’Taking a diverse set of buildings, built up by the university incrementally over the last 185 years, and developing a plan to make this estate worthy of a great institution for the 21st century has been a challenging task. To our delight, it turns out that much of UCL’s stock is rather fine and capable of adaptation to contemporary and future uses. Increasing the quantum and quality of space for teaching and research; with the Estate having developed organically over the past 185 years, and much of it having listed status, the Masterplan outlines strategies to deliver on the huge opportunities for better use of space and improved circulation across the campus. The approach is nimble and sustainable, relying on innovative ways of using existing buildings for new uses. The masterplan anticipates future change with its loose fit strategy – thus buildings are not to be locked into current functions but capable of adaptation using a standard kit of parts. Enhancing the experience of students, staff and the public; an array of hubs is proposed across the campus, in response to the changing way in which today’s students study with more open access social/project learning space. The Masterplan builds on significant investment in the UCL estate, with capital expenditure over the last five years totalling over £200 million. The Bloomsbury Masterplan establishes long term strategies for improvement and identifies up to 100 projects for investment over the next 10 – 15 years likely to total around £500 million. A first phase of projects have been identified and are now being progressed. UCL has initiated a procurement process for the selection of a Consultants Framework with an OJEU Notice reference 2011/S 217-354393 issued on 11/11/11. 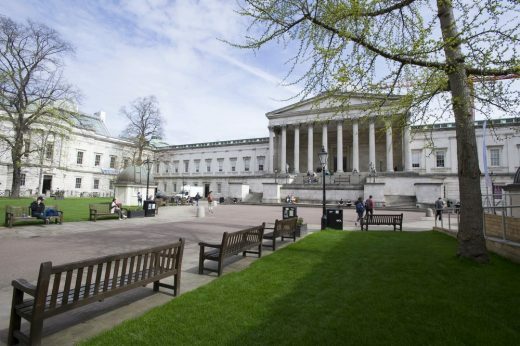 This procurement is to support UCL in the delivery of the first tranche of estates related work arising in connection with the Masterplan, maintenance investment and other consultant services in support of UCL’s anticipated project workload. To express an interest for this Consultant’s Framework please contact our Procurement Consultant, Cameron Consulting by requesting and completing the Pre Qualification Questionnaire from tenders@cameron-consulting.co.uk. Prospective bidders should note that the closing date for receipt of expressions of interest is 13.00hours on 16th December 2011.